April 10, 2018 (DEALSTREETASIA) - Ballarpur Industries, India's largest manufacturer of writing and printing paper, has agreed to sell its Malaysian subsidiary Sabah Forest Industries for RM1.2 billion ($310 million), according to a stock exchange filing. The National Stock Exchange of India-listed Ballarpur said, it has entered into a sale and purchase agreement with Malaysia's Pelangi Prestasi, a unit of Albukhary Group, owned by billionaire Syed Mokhtar Albukhary. The agreement involves the sale of Sabah Forest's entire assets, including procurement of fresh timber licenses from the state government of Sabah, Ballarpur said. Pelangi Prestasi has deposited 10 per cent, or about $31 million, of the consideration in cash following the signing of the SPA. “The said agreement is subject to necessary corporate and regulatory approvals including appropriate court orders of the High Court of Sabah & Sarawak, Malaysia,” the Indian paper maker said. Last year, Ballarpur was in talks with a Chinese firm to sell its Malaysia forest arm in a $350-million transaction but the deal did not push through. In 2016, the company also announced that it was selling Sabah Forest to Pandawa Sakti for an enterprise value of $500 million. The deal, however, was later scrapped because the buyer failed to meet the deadline for the transaction. 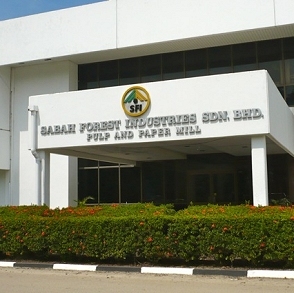 Sabah Forest Industries is one of Malaysia's largest timber growers and wood processors. It manages a forest estate totaling 288,000 hectares, pulp and paper manufacturing facilities, and an integrated timber complex consisting of a saw mill and a veneer and plywood factory. Ballarpur acquired Sabah Forest in 2007, marking the first overseas acquisition by an Indian paper company.